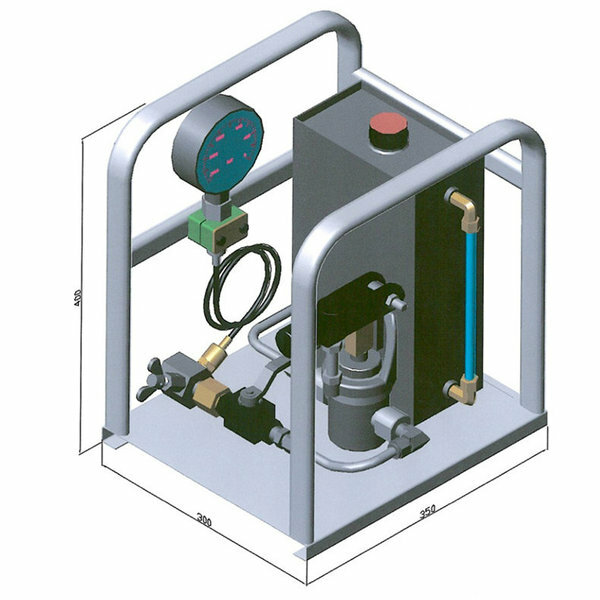 High pressure hand pump mounted on tubular frame, fully equipped and ready to use. 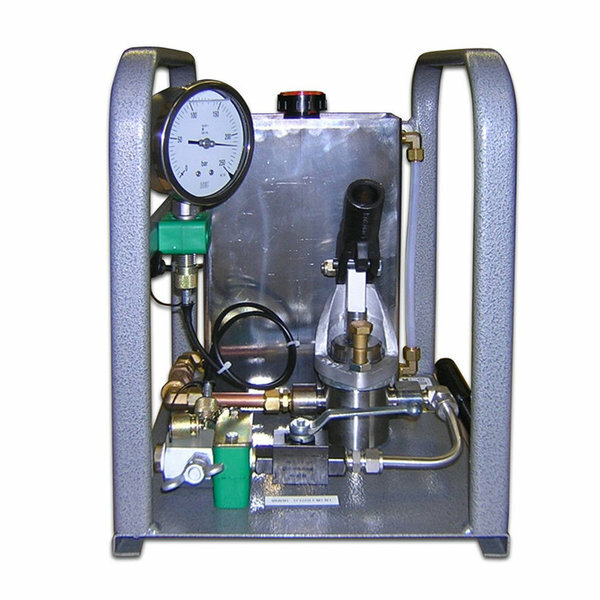 This simple effect piston hand pump is ideal for hydraulic testing as well as other industrial applications that require low volumes at high pressures. The parts of the pump in contact with the fluid are made of stainless steel. The pump can therefore convey water, iol, demineralized water and compatible chemical fluids. The container mounted on the chassis is made of stainless steel. The tank capacity can be adjusted on demand.